It’s hard to fathom now but there was a time (specifically, ninth-century Holy Roman Empire) when the bones of Christian martyrs provoked the same kind of energy of, say, a Woodstock set or a Beyoncé concert. And in the quest to acquire these sacred relics, like some kind of ancient Taylor Swift sighting, an underground economy sprung up to match demand with supply. The bones of saints…had fixers. The only problem was that acquiring top relics, like scheduling any A-list superstar, required a lot of time and money. 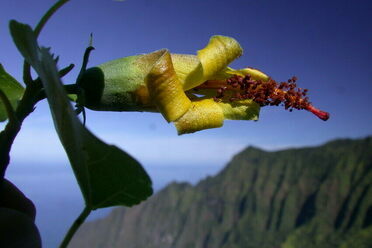 It was a big business, and the most desirable relics were the ones that were hard to come by. The closer they were found to The Holy Land, the older and thus holier they were. Trips to Palestine were hardly a walk in the park, but Rome the Eternal City—with its cemeteries, ruins, and stature as the seat of Christianity—was the ultimate treasure trove. Certain popes however, placed restrictions on the trade; largely because of the uproar of Roman citizens who were tired of foreigners looting their cultural heritage. These limits were somewhat relaxed in the 820s by Pope Eugenius II, who enjoyed the political and financial support of Lothair, Charlemagne’s grandson. 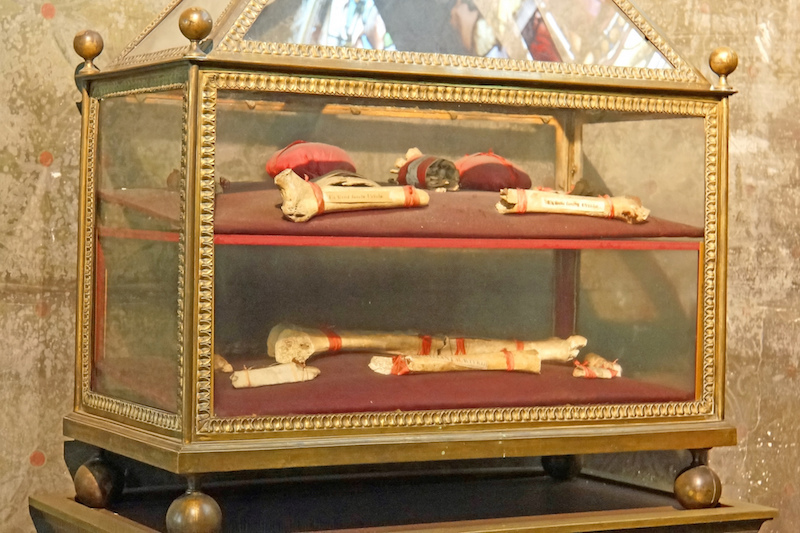 The pair’s allegiance made it possible for high-ranking Carolingian churchmen to place orders for priceless relics, like the bones of St. Sebastian in 826. Nevertheless, in many cases, abbots who were strapped for gold had to recruit discreet ‘fixers’who knew how to work around the law. One of the most famous of these professionals was a Roman deacon named Deusdona. Along with his brothers Lunisus and Theodorus and their associate Sabbatino, Deusdona ran a family business that specialized in relic-smuggling. It was a relatively easy hustle. After receiving a request from a northern clergyman or noble, the Italians would descend into sepulchers along the Via Appia, Via Pinciana-Salaria, or the Via Labicana. Once the bones were retrieved, they were occasionally stored at a family home in Benevento, probably for security reasons. The most strenuous part of the process was undoubtedly transport. Most clients operated cathedrals beyond the Alps, which meant that the men had to prepare for extensive days on country roads. Although there were other thieves at the time with their own shticks, Deusdona’s gang was particularly infamous for its acquisition of the saints Marcellinus and Peter for Einhard, the private secretary to Louis the Pious, Charlemagne’s son. Apparently, the transaction went down like a scene out of Oceans Eleven. After sweet-talking the courtier over dinner in Aachen, the imperial city, Deusdona was given the green-light and returned with the relics sometime after, making sure to gain other customers on the way. Fortunately, the Einhard job wasn’t Deusdona’s crew’s only success. The group also sold at least five other saints to the Benedictine monastery at Fulda, including the saints Urban and Fabian. There isn’t any record of any members of the operation getting pinched, so business probably continued as usual until their deaths. While dealers like Deusdona’s rival Felix mined their merchandise from places like Ravenna, others made their bones haggling for dead Christians in Al-Andalus. Roughly 300 years later, thieves from all over the Mediterranean world hit the jackpot due to the crusader-led Sack of Constantinople in 1204. However, the cult of the saints’suffered major public relations scandals in the late 15th century as a result of the ongoing criticisms of ecclesiastical materialism by Christian thinkers such as Martin Luther and Erasmus of Rotterdam. In response to the Protestant Reformation, the Council of Trent (1545-1563) reaffirmed the veneration of saints. Even so, many extravagant reliquaries happened to find their way into private cabinets of curiosities during the Age of Reason. Despite the vast reduction of trade in unsanctioned relics throughout the centuries, the Catholic Church didn’t stop requiring all altars to house relics until 1969. In 2011, The British Museum hosted the Treasures of Heaven exhibition, displaying some of the Vatican’s costliest art and saints’body parts in all their splendor. Deusdona’s adventures are certainly a thing of the past, but the legacy of the secret commerce that once galvanized Europe is evidently alive and well.